Functional Core Movement Pattern Training Specific For Horse Riding. As a rider, you will know whether you have poor balance, tip forward and or can't keep your lower leg still. You may be able to ride some paces well but lose stability at others. 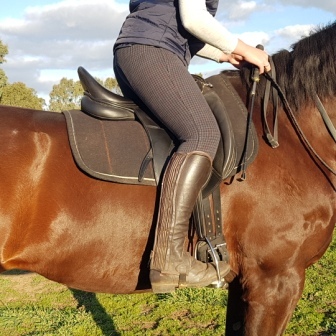 The sitting trot is a nightmare for many and the riding instructions such as "sit up straight", "stop bouncing" "keeping your leg still" are common and repeated. The cycle of many hours in the saddle and many dollars seems to continue. Most instructors train your horse and not you or your riding skill and posture. If you are interested in learning more then watch this Webinar. Rider Biomechanics Exploring The Horse Riding Muscles. (You will need to register your details first). 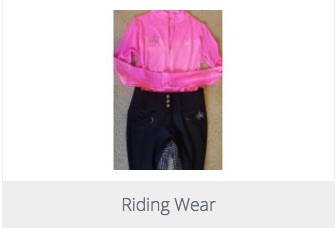 Many rider biomechanics coaches tell you what you need to do but not HOW to do it. A set of exercises will make a difference but a correct program of exercises and movement patterns will lead to a long-term functional outcome. As a Physiotherapist, I am able to do (or teach you how) to do a posture assessment. Once you know where you are weak, where you are tight and what muscles are not activating we have a starting point. You cannot strengthen a muscle if it is not working. A set of exercises will not discover your body status. 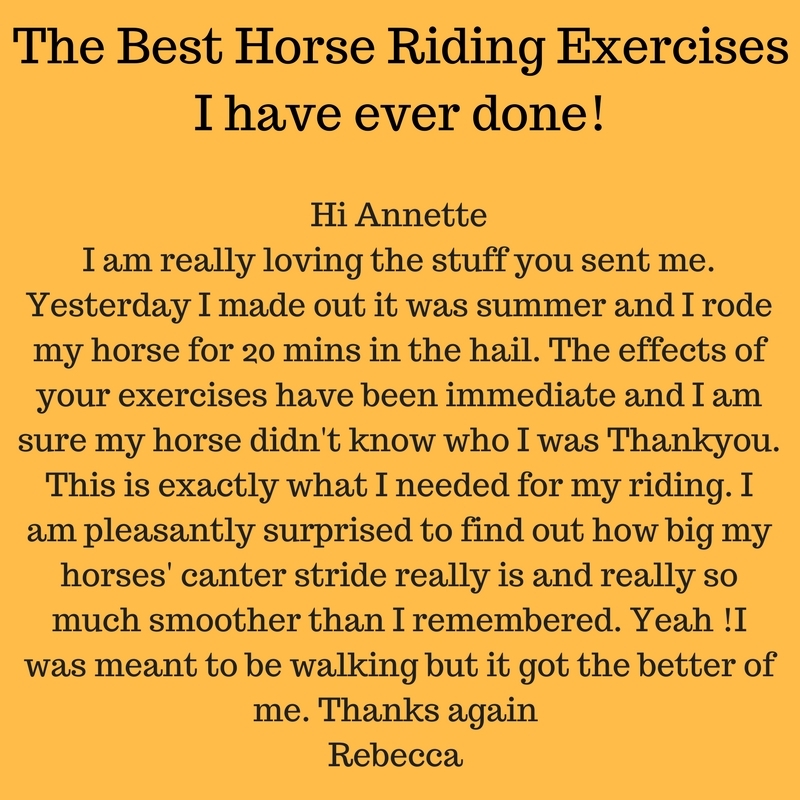 I assess, give you exercises and move to the movement patterns for riding. I train you! My training sets you up to start at a new starting point. From there you will progress in a step by step process. It won't happen overnight but it will happen! The key to the program is my specialized core training and Rider Specific Movement Patterns. 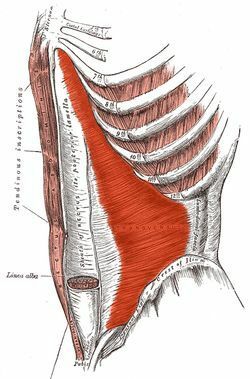 You will learn HOW to use your core on demand. You will learn HOW to apply the correct aids symmetrically and effectively. 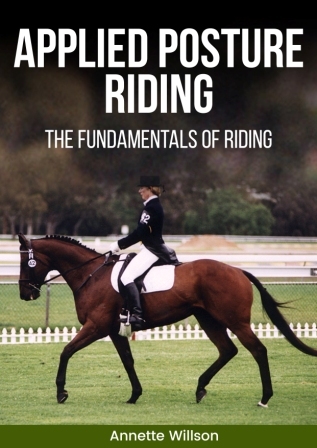 You will achieve a safe effective strong balanced riding posture. You will know what you are doing and apply the skills in the saddle. You will achieve your ambition as a rider and be a better trainer to your horse. After training in Rider Biomechanics a lady said: "I don't know how I rode without this knowledge? I did Pilates but I could not figure out how to use it riding". Pilates has become popular in the equestrian world. However, Pilates does not teach you how to transfer your core strength into use in the saddle. Pilates teaches "Neutral Spine" only. Riders need to have the core strength in "Non-Neutral Spine" as well. Riding Instructors can teach you "what the correct riding posture is" but they can not teach you How To use Your Core. Personal Trainers and exercise classes do not target the riding muscles, and in some cases, the routines riders are following can cause more harm than good. Pain is a signal, not a challenge! 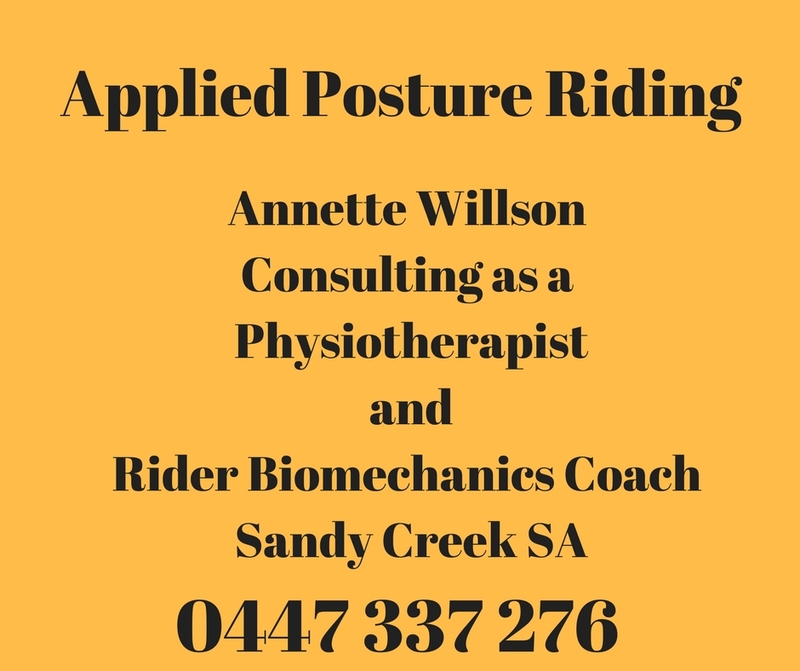 Back pain is a major feature for riders and the core is directly affected when a rider is in pain. I have been injured, I know what pain is, I know what you are going through. I have three children, I know how hard it is to find time and energy to ride. I have competed at an elite level I know what success feels like. I know how it feels to Look Good Feel Good and Ride Well. You can get back to this level too. I am a Physiotherapist and I was an elite rider. My mission is to teach riders HOW TO Look Good Feel Good and Ride Well. Along with my Training Program, I prescribe "Rider Helpers" such as braces and Core Support Products. To assess, treat and rehabilitate riders from injury to returning to riding. Use this link to book a Physiotherapy appointment. 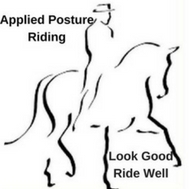 Applied Posture Riding is more than just a few exercises! It is your complete rider training program. 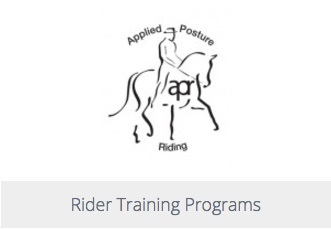 So have a look at my shop for rider-specific products and if you are not ready to join as a member you can purchase my Applied Posture Riding program as an Ebook or as a video series on USB. Go to the shop. Look for the current specials on selected products. Have a look at the Clinics I have on offer and certainly browse through my various informative blog posts under the Learn More tab on the menu bar. I look forward to answering any questions you have.